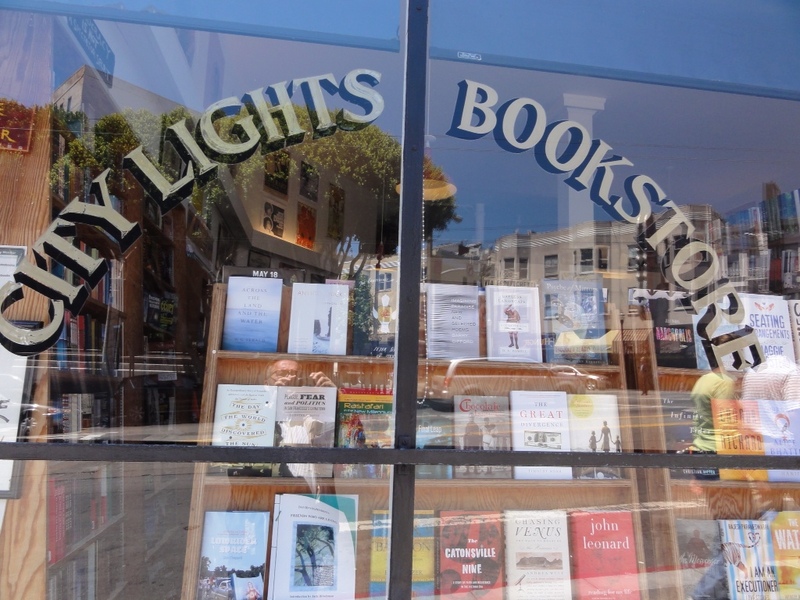 On a recent trip to San Francisco we made a visit to North Beach, a pilgrimage of sorts to City Lights Bookstore. 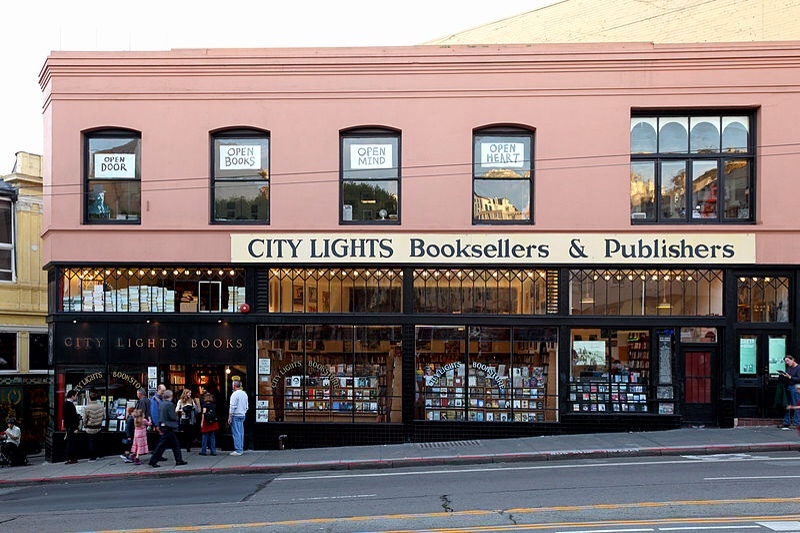 Founded in 1953 by the poet Laurence Ferlinghetti and Peter Martin, City Lights is both a bookstore and a publishing house. Famous for its publishing of Allen Ginsburg's Howl and other Poems, and its consequent obscenity trial, City Lights became more than a gathering place for the Beat Generation, it was a beacon for free speech. 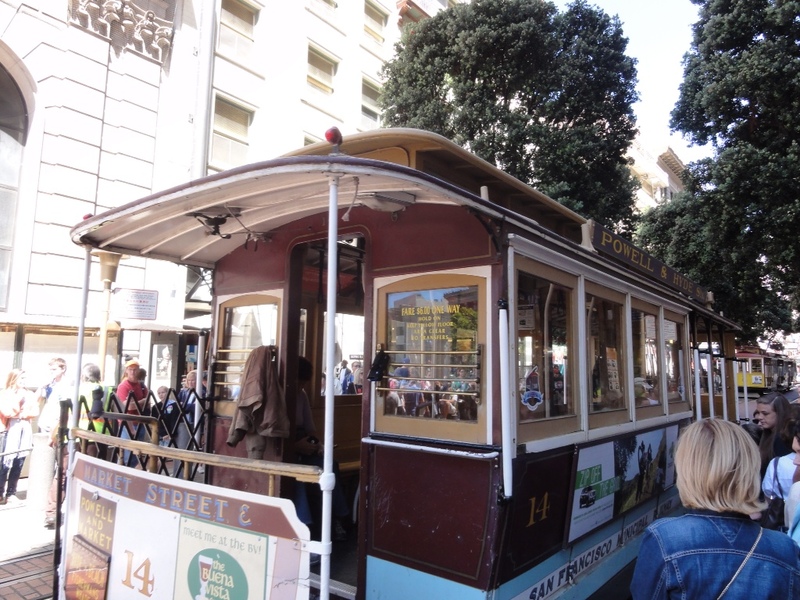 We took the Powell and Mason cable car and got off at Jackson Street. 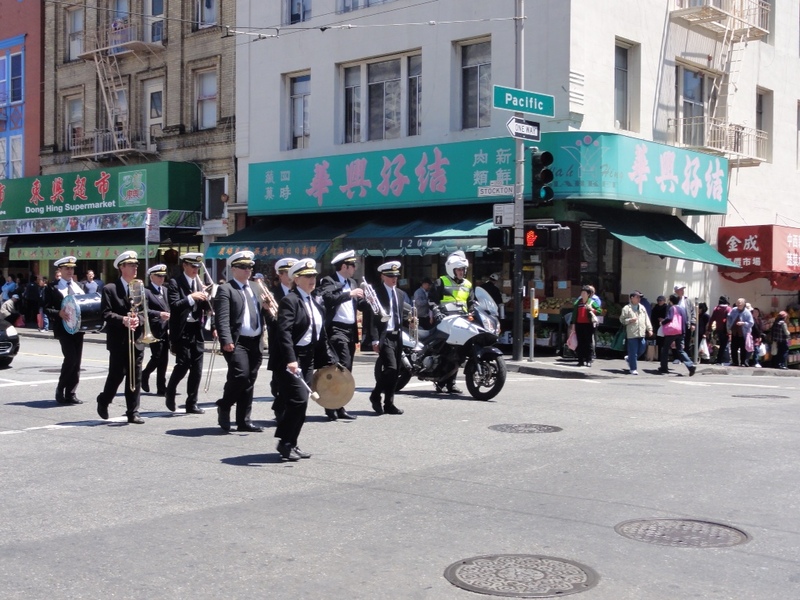 We walked a few blocks through Chinatown and were interrupted by a Chinese funeral complete with brass band. Then off to Columbus Street and City Lights. 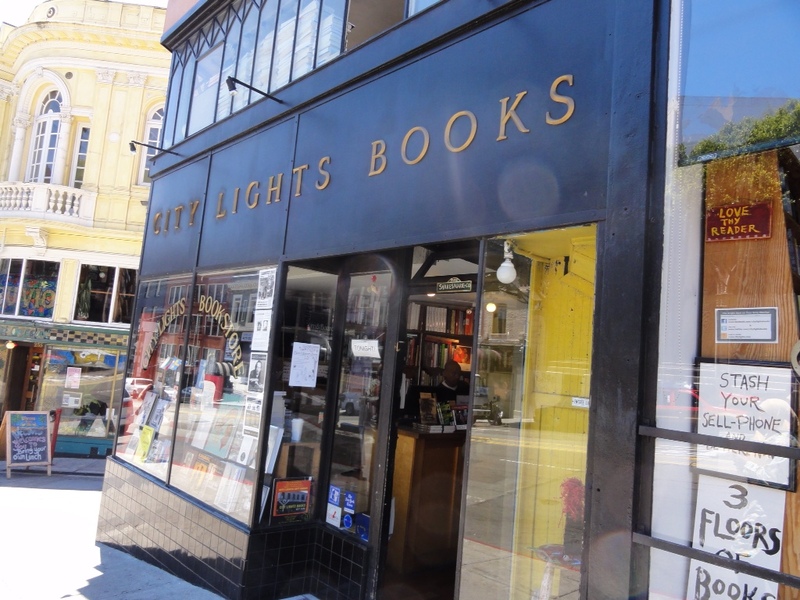 Designated an official landmark by San Francisco, CIty Lights Bookstore is a somewhat unassuming place when you come across it. Once inside, it is a wonderful bookstore, disjointed on several floors, with alcoves and corners, interrupted by an occassional chair for readers to sit. 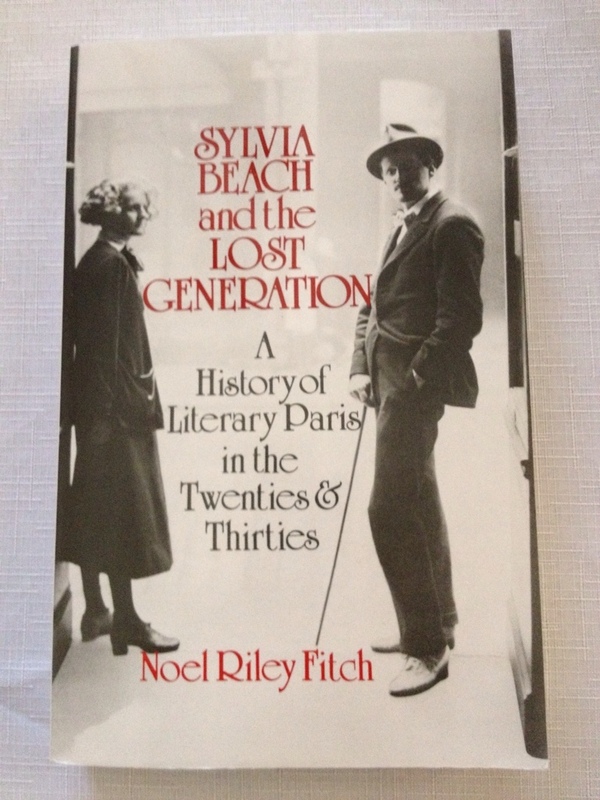 I stumbled upon the cashier and asked him if he had a copy of Sylvia Beach and the Lost Generation. Consulting his computer he said that there should be a single copy one floor down in the middle section. After a few minutes search I found the elusive book and presented it for purchase. He stuffed it in a City Lights Bookstore paper bag along with a postcard I'd purchased. I wondered if the clerk had any idea of the connection between my book choice and his employer. I doubt it. 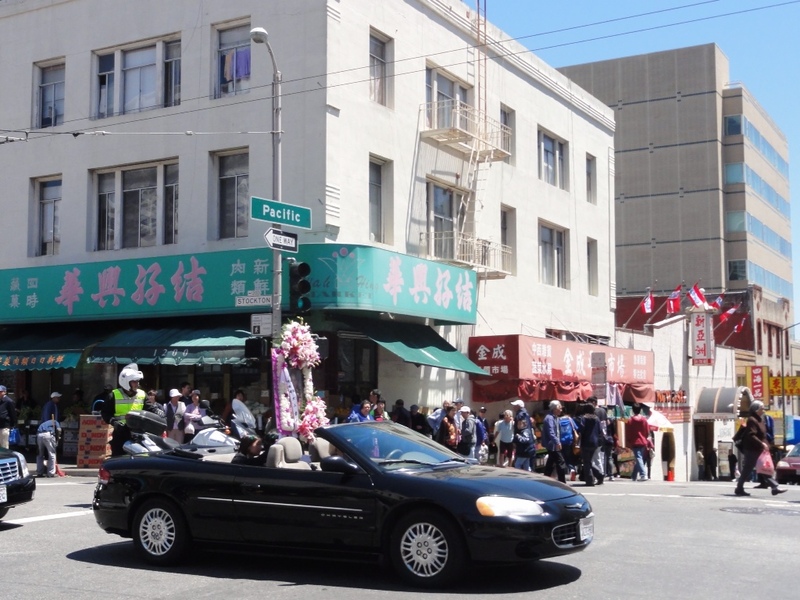 Since we were in the middle of North Beach and Little Italy, we imposed on the clerk for a recommendation of a good Italian restaurant in the neighborhood. He gave us directions to the Rose Pistola a few blocks up Columbus. I thanked him and we headed out, first taking a couple of pictures from the outside of the building. Laurence Ferlinghetti's good friend in Paris and bookstore owner, George Whitman had encouraged him to open City Lights Bookstore. Whitman's Paris bookstore opened in 1951 was at first named Le Mistral, but later renamed Shakespeare and Company after the famous bookstore owned by Sylvia Beach. In the 1920's and 30's Shakespeare and Company was a gathering place for authors T.S. Eliot, Hemingway, James Joyce, and others. When a publisher could not be found for Joyce's Ulysses, Beach took on the task herself. 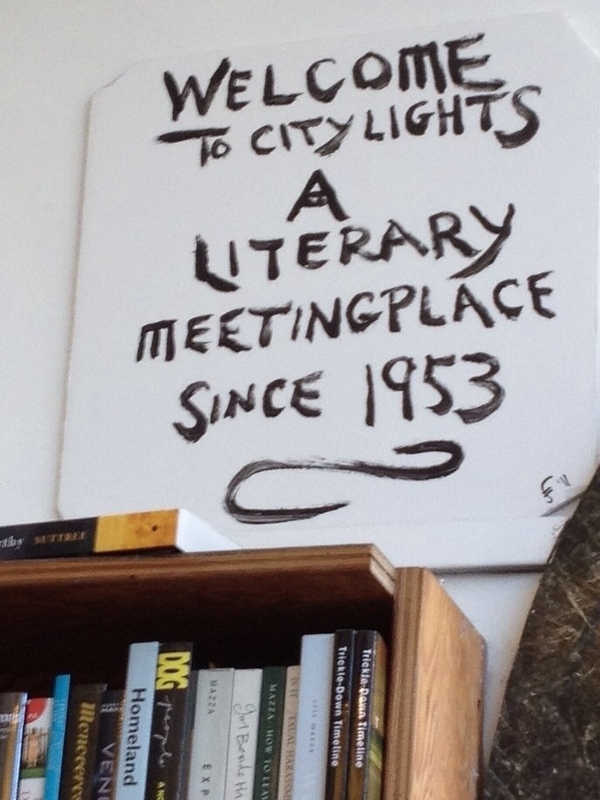 Whitman and Ferlinghetti considered CIty Lights Bookstore and Shakespeare and Company sister bookstores. George Whitman died last December at the age of 98, but his bookstore is in good hands run by his only daughter Sylvia Beach Whitman, named after the owner of the original Shakespeare and Company. This entry was posted in Books, Bookstores, tourism and tagged books, bookstore, Paris. Bookmark the permalink. 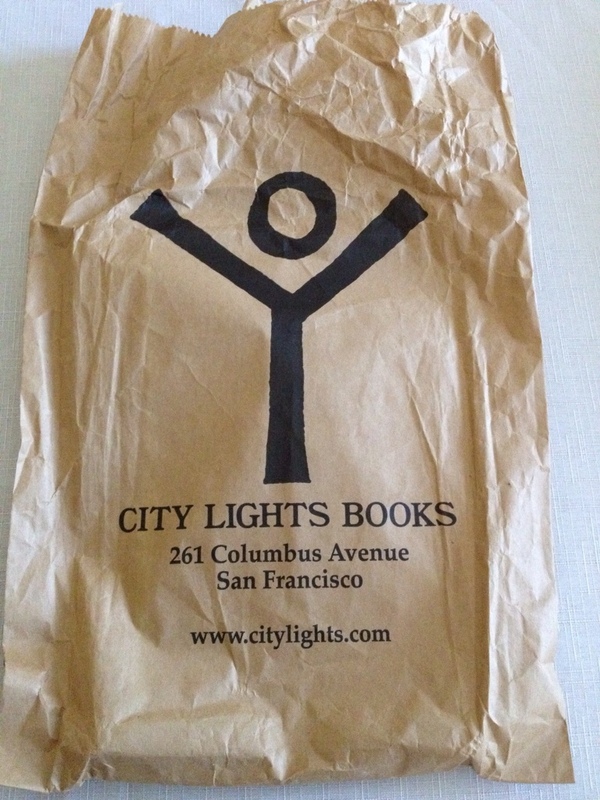 1 Response to A visit to a San Francisco Landmark – City Lights Bookstore.